If you’ve been hounded by drainage or piping issues for a while, it’s time for a long-term solution. For blocked drains Kew, Drain Solutions is a trusted name for drainage and underground management. We are a Melbourne-based company offering homeowners and business owners, services such as drain cleaning, sewer camera inspections, pipe and cable location, drain repairs, blockage clearing services and more, with a specialty in Pipe Relining or CIPP (CIPP or Cured in Place Pipelining). Pipe Relining is an affordable system that provides a permanent solution to damaged pipelines, as well as broken root intrusion to stormwater or sewer drains. The process does not require costly and inconvenient excavation or property damage, thanks to our Pipe Lining Technology. A new drain, sewer or stormwater pipe will simply be created within an existing one. Therefore, your old pipes can still be used but many other companies simply dig them up and throw them away. This technique allows us to provide a fast and dependable alternative to damaged or blocked drains and sewers at half the labour and cost. Pipe relining is made possible through a CCTV drain camera inspection, a highly reliable method of diagnosing problems and determining necessary lengths of the drains to be lined. Then a high-pressure water jetter will be used to remove all dirt and debris in the pipe before the pipe lining procedure begins. The felt liner will be cut to the required length, and epoxy resin will be added to it before it is slipped into the broken portion of the pipe, either manually or through air inversion. After curing the resin, the old broken pipe will now have a new pipe right within it, and the whole system becomes structurally sturdier. We can also cut out an existing junction with our robotic equipment to replace branch junctions, but only when necessary. Case in point: you deserve a plumbing problem-free life. 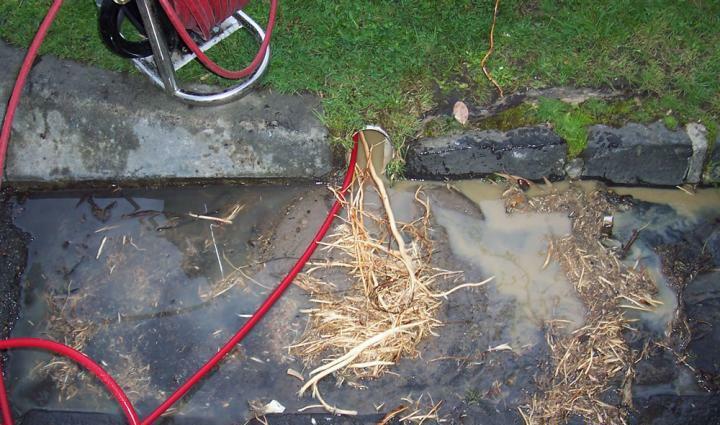 Get our revolutionary, fast, and cost-efficient one-time cure for all your drainage issues. Call Drain Solutions on 1300 546 348 today and see how Pipe Relining Technology makes a difference!